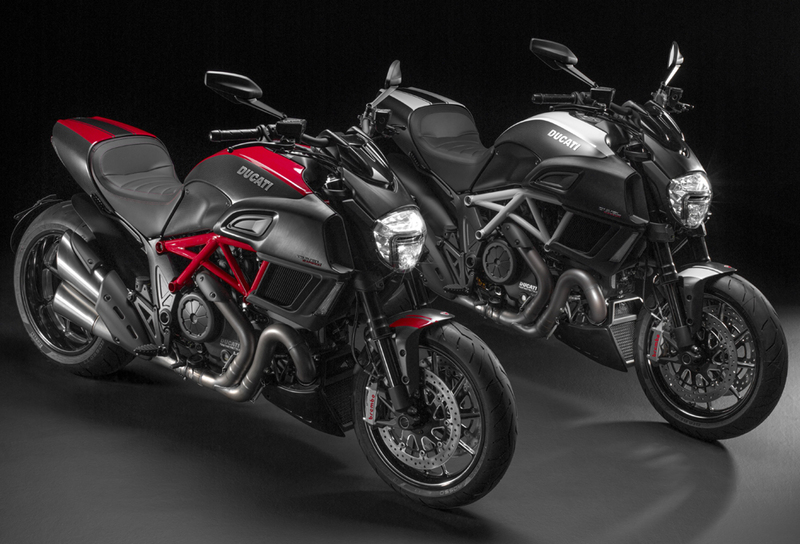 Here is the first official image of the revised-for-2014 Ducati Diavel. Changes are subtle in both the styling and mechanical department, the most significant being the new twin-spark version of the 1198cc Testastretta V-twin motor. Power remains the same at a whopping 162bhp but Ducati are quoting an additional 2.2ft lbs at peak and a general increase at all revs. Another upshot of the revised engine is improved fuel efficiency and extended service intervals which are now at an impressive 18,000 miles between major services. 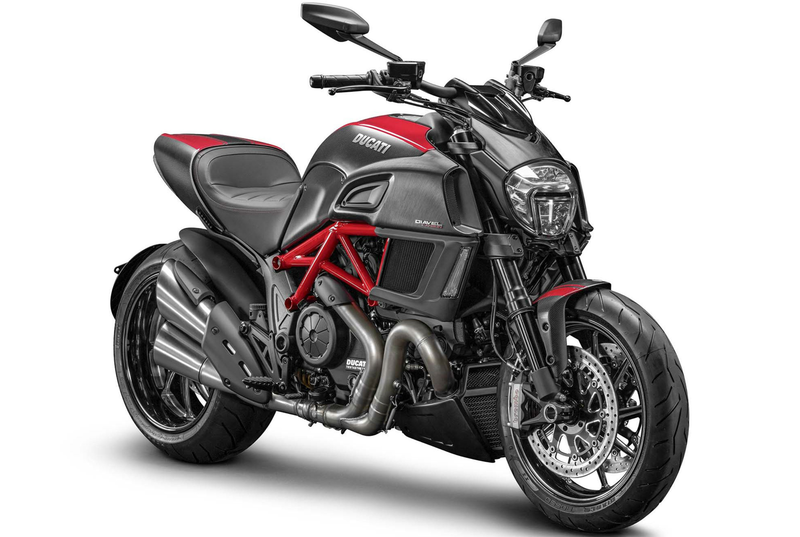 The updates are the first since the Diavel was launched in 2011 and in that time sales figures have continued to impress with the Ducati having the looks to please the cruiser fans and the performance and handling to tempt diehard sportsbike fans away from their race replicas. 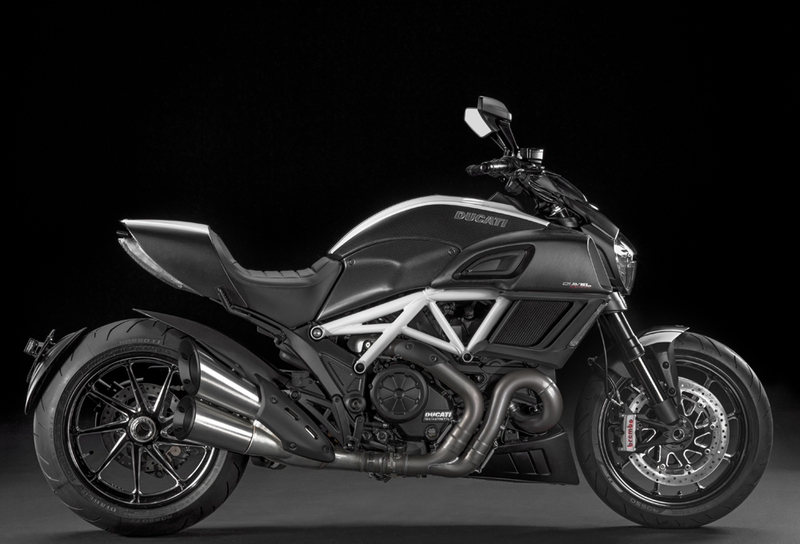 The lack of radical changes are definitely a case of ‘if it ain’t broke, don’t fix it’ where the Diavel is concerned.